Creating a Facebook cover collage of your Facebook friends is as easy as pie. There are plenty of free Facebook friends collage generator on the web, and I’ve decided to use Pic Scatter for this tutorial as it is extremely easy-to-use. You can easily create your own collage within minutes with Pic Scatter. 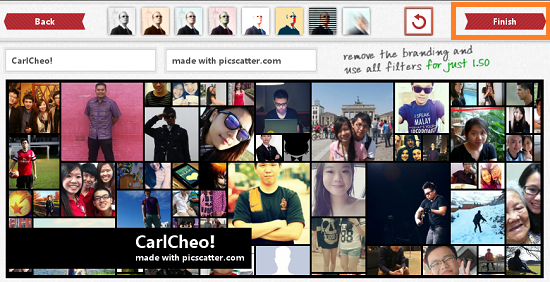 Pic Scatter is a photo collage maker that allows you to create beautiful Facebook timeline cover collage based on your friends, likes, or photo albums, for free. 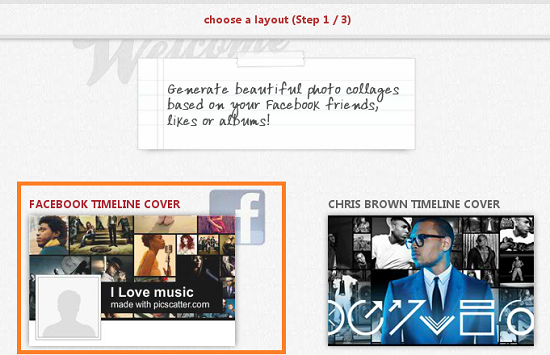 Although some of the features are available for paid users only, the basic features are more than enough for you to create a gorgeous looking cover photo collage easily. Here are the 5 simple steps to make a Facebook friends collage without spending a dime. 1. Press Login to connect your Facebook account with Pic Scatter. Don’t worry, this won’t allow Pic Scatter to post content on your Facebook account. 2. Select Facebook Timeline Cover. 3. Select Photo of your Facebook Friends as your photo source and click Next. You can always select other photo source if you wish to. Do note that other features such as apply filters and remove branding are premium features, which are available for paid users only. 5. Press Finish to download the .PNG file to your PC. 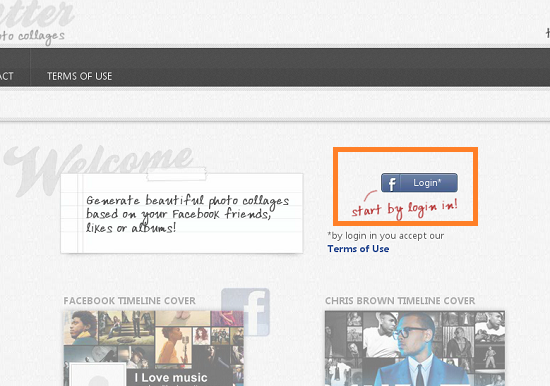 You can now upload the Facebook friends photo collage on your Facebook account!